The Marseille Provence Technopole brings together business and university resources as the Pôle de l’Etoile which covers the two campuses of Saint Jérôme and Château-Gombert. There are more than 900 lecturers/researchers and 2,800 students in two large engineering schools and several university centres specializing in mechanics, physics, computer science and mathematics. Several regional poles of competitivity are home to research laboratories involved in international activities in the fields of optics, energy mechanics, microélectronics and computer science.. In addition, several facilities (student residences, campus restaurants, shops, parkland) ensure a pleasant life at the technopole. Centrale Marseille is working towards having the Château-Gombert Technopole designated as a Digital Neighbourhood in the Greater Aix-Marseilles Area. entreprises working directly on digital products and services: Another Service, Goodvibrations, Iprotego, Jalis, Mobitab, Mycherryliste, PliciWeb Solutions, Safran Technologies, Ypsee, Zephy Science, Medinsoft. . The proposal to have the Château-Gombert Technopole designated as a digital neighbourhood is based on its unique potential in the Greater Aix-Marseilles Area. It will provide a formidable tool for development of the local neighbourhood by reorienting various activities towards digitalization and creating an ecosystem that will foster the emergence and concentration of innovative enterprises. Outside the Technopôle, Centrale Marseille sees this a unique opportunity to position Marseilles and its workforce at the cutting edge of industrial and societal changes, at a time when everyone is aware of Marseilles’ economic and social difficulties. 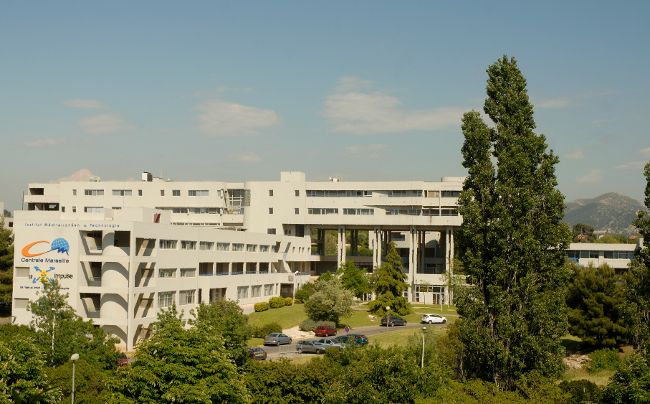 Buildings: several amphitheatres, including one seating more than 400 persons, lecture halls and reception rooms (Maison du développement Industriel), offices. Located in the Northern districts of Marseilles, the Technopole lies close to an area with socio-economic difficulties where there is potential for local action with "drop-outs".